Spring is the season of fresh starts and life beginning anew. As we watch the bluebells return to Rouken Glen park and the wild garlic rear its head, we can often find ourselves wanting to make a fresh start ourselves— and for many of us, that means moving further up the property ladder. If you’re one of the people thinking about doing this, you’re in luck. According to new statistics released last week, asking prices have hit record highs across the UK property market, making now a profitable time to sell your home and start a new adventure. 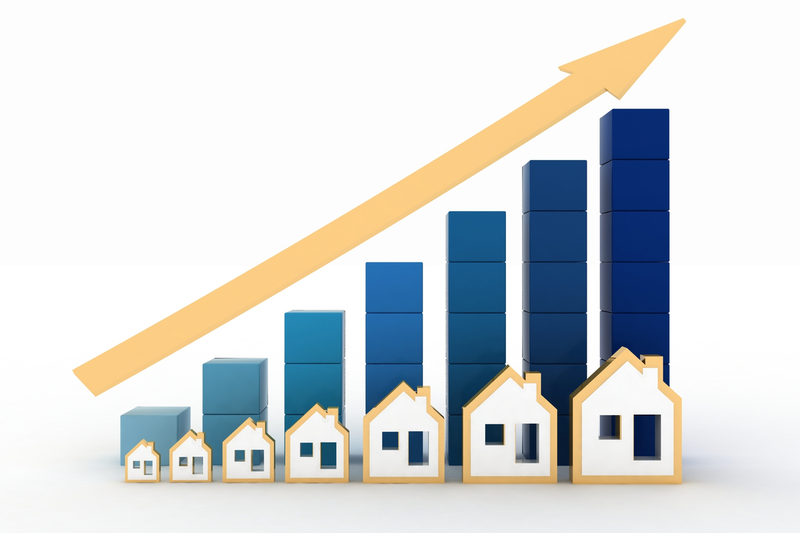 Citing its sales figures for February, online property portal Rightmove says that the average asking price has climbed 1.5%— or over £4,500, over the last 28 days, making this increase the largest seen in spring since 2007. This brings the average price of first time buyer transactions to £189,840 and second-time buyer transactions to £272,031. What’s more, the first quarter of 2018 has seen the average asking price of property reach record highs in 4 out of 11 regions across the UK, beating the performance of the same period last year. With the recent UK House Price Index figures cited by The Scotsman showing that Scotland has seen a 7.3% increase the in value of property since spring 2017, it seems like now is as good a time as any to consider selling your home and taking the next step on the property ladder. With attractive interest rates, a versatile range of mortgage deals and some exceptional properties on offer across East Renfrewshire (not to mention the fact that the area has consistently been touted as one of the best places to live in the UK), we’re expecting a busy spring period, as sellers look to take advantage of great property market conditions. Whether you’re looking to upsize, downsize or invest in your very first home, Nicol are one of East Renfrewshire’s property specialists. With detailed knowledge of the local market, we’ll listen to your needs and develop a plan that’s right for you and your aims. Get in touch with our team today to find out how we can help you make a new start this spring! Whatever your reason for moving; whether it's for extra space, to downsize or you may simply have found your dream home, Nicol can help. Our knowledge of the local property market helps us develop a marketing plan that's right for you and your property. We want our clients to be delighted with the service we provide. Listening to your needs and understanding your requirements is our starting point. To find out more about our approach to selling homes, download our comprehensive Guide to Selling your Property here. If you are planning on selling your home, contact Nicol Estate Agents today for an appraisal of your property. Our Managing Director Douglas Nicol and Estate Agent and Valuer Daniel Cohen carry out hundreds of market appraisals every year, giving them an intimate and unparalleled knowledge of the property market in Glasgow, from city centre apartments to family homes and building plots. We will talk to you about the property market in your area, compare sales evidence, local demand for similar properties, outline our tailored marketing plan and provide details of our sales support strategy right through to completion.